The historic site hosts the annual Cedar Mill Cider Festival every October. 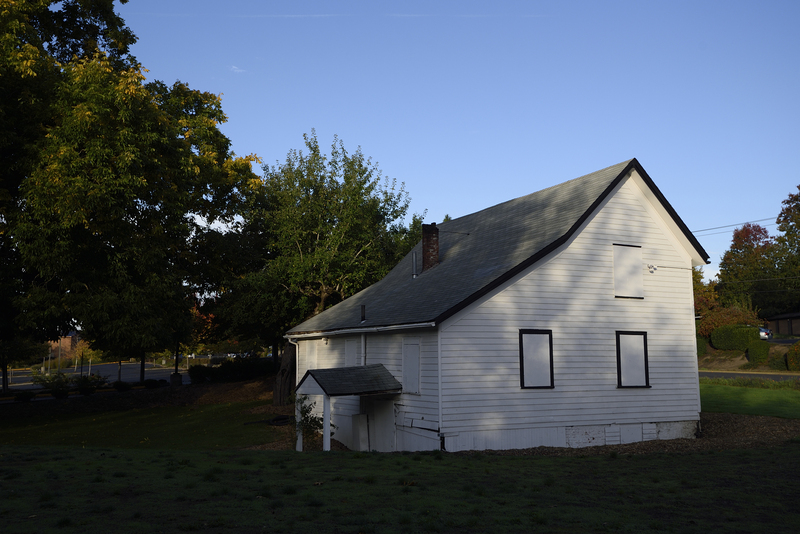 The JQAY House is one of the oldest surviving buildings in Washington County and is the last remaining above-ground resource associated with the cedar mill for which the community was named. John Quincy Adams Young and his family traveled the Oregon Trail in the late 1840s, settling in the Oregon Territory. He built his historic house in 1863 on about a half-acre next to Cedar Mill Creek. 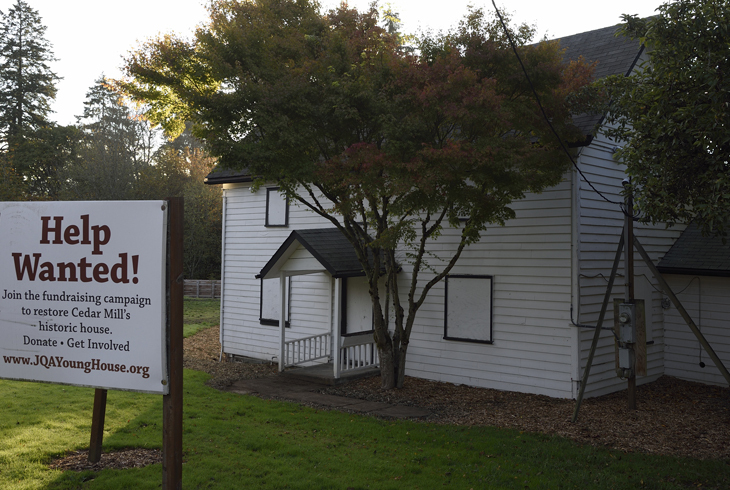 In 2005, THPRD acquired it, and the half-acre of land upon which the house sits, in a property exchange agreement with Cedar Mill Bible Church. Get ready for history, community, cider, and fun at the 12th annual Cedar Mill Cider Festival on Sunday, Sept. 22, from 1 to 4 pm on the grounds of the historic John Quincy Adams Young House at 12050 NW Cornell Road. 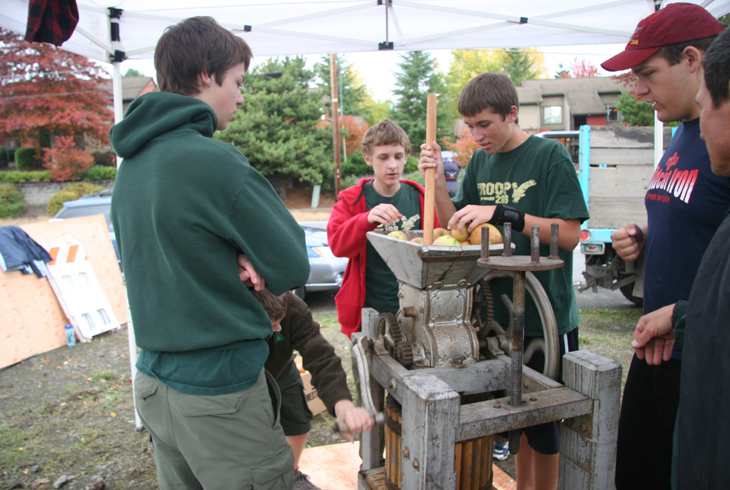 The free neighborhood event, sponsored by the Tualatin Hills Park & Recreation District, will feature fresh cider created on antique presses by members of Boy Scout Troop 208. Cider samples are free. Lunch will be available for purchase. There will be a Country Store tent filled with a variety of items from local vendors. The History Tent will present information about the JQAY House and restoration efforts. A portion of proceeds from the Country Store sales will go to the restoration fund. THPRD’s Rec Mobile will provide games and activities for kids. Free parking will be available at Cedar Mill Bible Church (12208 NW Cornell Road) after 1 pm. The grounds are unpaved but wheelchair-accessible. Commuters can access the festival from TriMet lines #62 and #48.